Vega analogue smoke detectors are designed around a fully digital protocol. 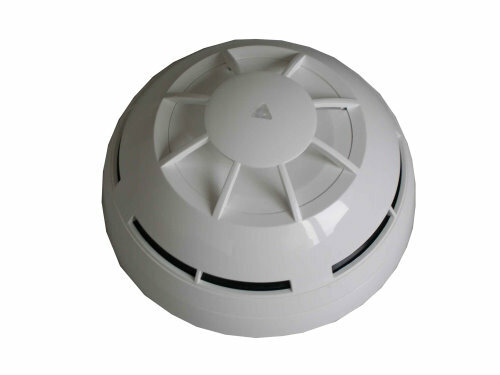 The analogue multi-criteria addressable smoke detector combines photo electronic based upon the light scattering Tyndall effect through a new and patented smoke detector chamber and thermal sensing element with a very sophisticated algorithm. A symmetrical smoke chamber guarantees optimal smoke sensitivity from all directions. The double dust trap protects the smoke chamber of the smoke detector from airborne contamination and external light. A special dust compensation algorithm reduce maintenance period. A single, centrally positioned, thermistor supervises ambient temperature with low thermal inertia. The smoke detector efficiently analyses the status of the protected area guaranteeing a high rejection to false and unwanted alarms.